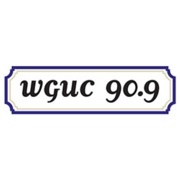 90.9 WGUC is Greater Cincinnati’s only fulltime classical music radio station. WGUC is proud to be a founding beneficiary of the Cincinnati International Wine Festival. Each week more than 106,000 people tune to 90.9 for music that touches the heart, mind and spirit, providing an oasis amidst their chaotic day. Listeners rely on and value this daily companionship. “WGUC gets me through life, “says Bee. The support of the Cincinnati International Wine Festival allows WGUC to record and broadcast performances by the Cincinnati Symphony Orchestra, Cincinnati Opera and May festival so that they can be heard by every member of the community, especially those who are unable to attend in person due to health, financial ability or other reasons. It also makes possible the production and national distribution of the educational outreach program Classics for Kids®, with its free music education curriculum resources; and the production and distribution of the 90 Second Naturalist in partnership with the Cincinnati Zoo. WGUC is also able to broadcast performances by other local music organizations such as the Linton Music Series, Vocal Arts Ensemble, and Music at the Museum Series while also sharing a daily spotlight on the wide variety of arts and cultural events presented across the region, helping these organizations expand their audiences.